When it comes to nightlife in Ho Chi Minh City, there’s no better place to party in style than a sleek rooftop bar. 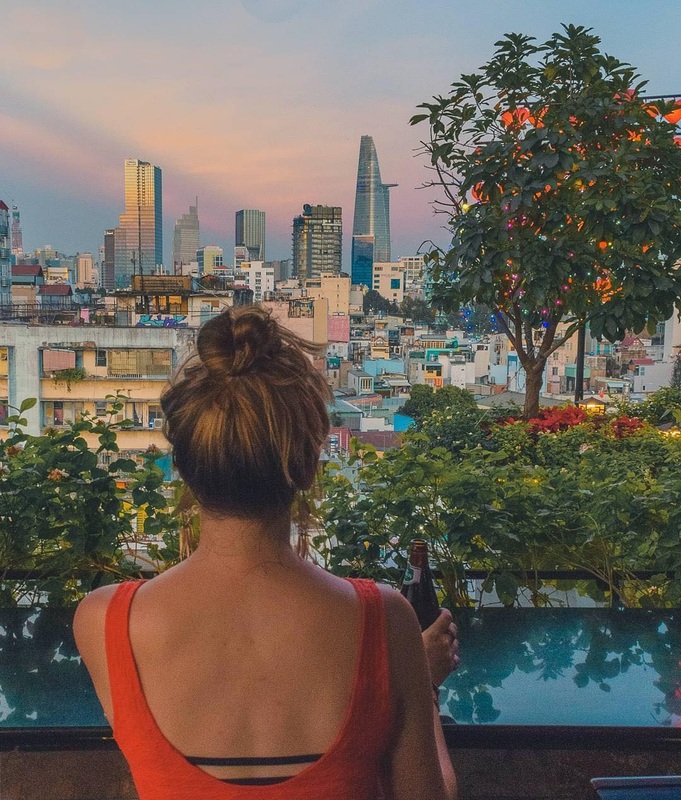 Offering amazing views of the vibrant city and beyond, Saigon’s rooftop bars are rated as some of the best in the world. From the colonial charm of Saigon Sky Bar to the ultra-modern EON Heli Bar, rooftop bars in Ho Chi Minh City cater to just about any mood and style. Attracting a steady clientele of celebrities as well as affluent locals and tourists, drinks and food served at rooftop bars here are unsurprisingly on the pricier side. 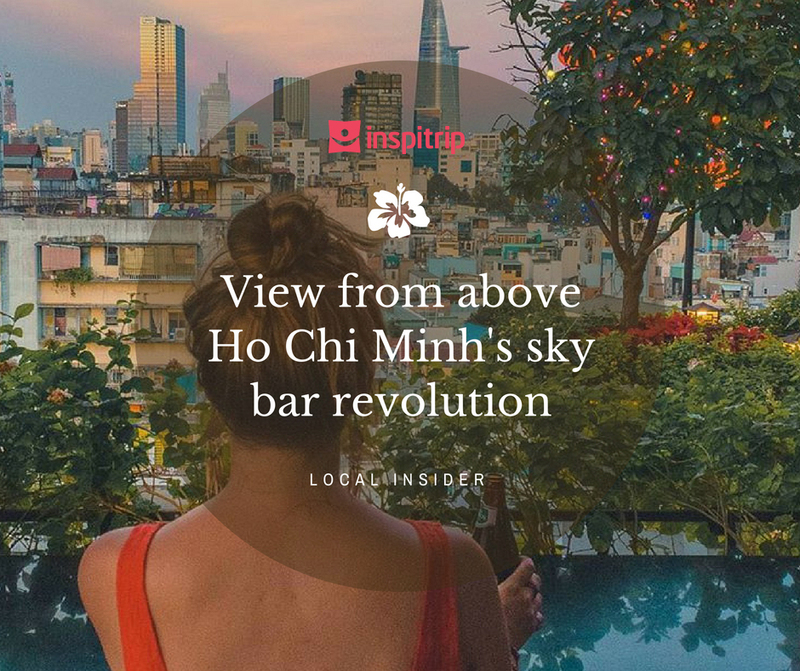 Nonetheless, with excellent service, stylish ambiance, and lively crowd, a night out (or two) at Ho Chi Minh’s most popular rooftop bars or sky bars is definitely well worth the extra expense. Read on to discover our bars worth visiting in Saigon. Opened in 1959, Saigon Saigon Rooftop Bar is an iconic landmark in Ho Chi Minh City. The bar is set on the ninth floor of the Caravelle Saigon, featuring fairy lights, wooden furnishing, plenty of foliage for a cozy ambiance, and views of Lam Son Square. Daily happy hour promos at Saigon Saigon Rooftop Bar are between 16:00 and 19:00 where you can enjoy 50% off your total bill. Although the bar is only on the ninth floor, the view is majestic with many of Ho Chi Minh City’s most famous sites laid out beneath the right-hand side of the bar. Directly below the hotel is Lam Son Square with the ornate Saigon Opera House and the equally famous Rex Hotel facing each other, and stretching into the distance, the People’s Committee Hall and Notre Dame Cathedral. This is the best view of historical Saigon and a must for anyone interested in the tumultuous history of the city. Located on level 50/51/52 – Bitexco Financial Tower, District 1, this is part of a three-story venue offering bar and restaurant space high above the city, in the tallest building in town: The Bitexco Tower. 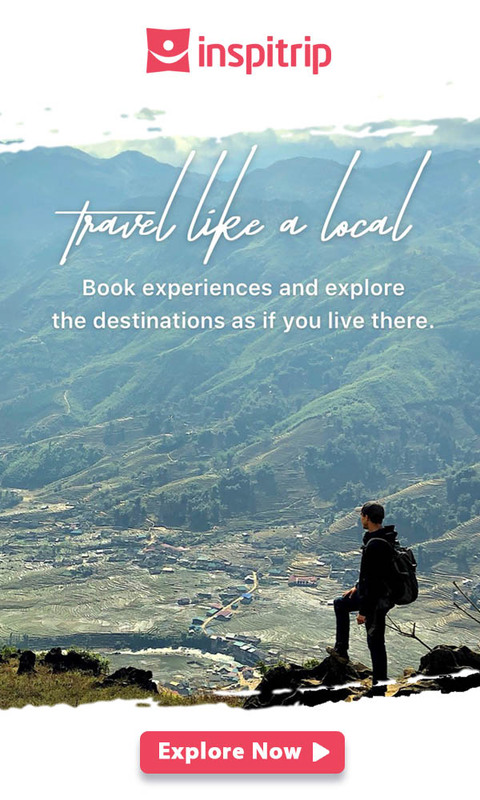 It features a cosmopolitan setting, live acoustic performances, talented DJs, and an extensive alcohol list, not to mention vertigo-inducing views of Ho Chi Minh City. As the name suggests the heli bar is on the same level as the iconic helipad jutting out from the side of the glass monolith that dominates the landscape for miles around. 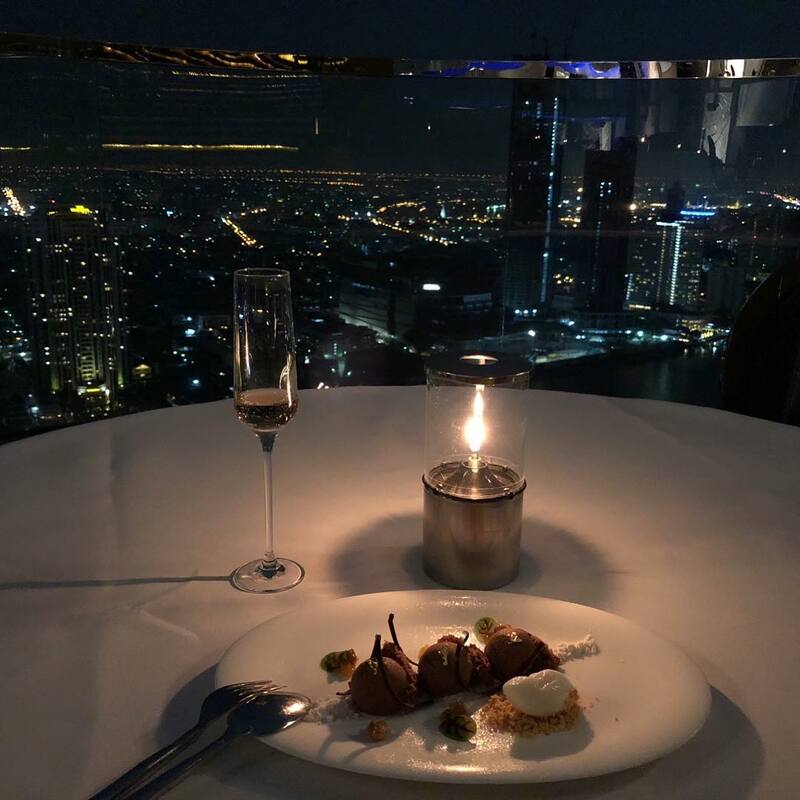 The views from the bar are quite simply stunning, from the EON51 Fine Dining restaurant one floor below they are just jaw-dropping, huge windows eventuating the visibility. Drinks are priced at a level one would expect for this type of venue, the restaurant presents sensational food to match the astonishing vistas. Chill Skybar Saigon is one of the most popular night spots in Ho Chi Minh City. Located in District 1, this rooftop bar and clubs sit on the 25th floor of AB Tower and attracts a lively crowd who are dressed to impress and keen to party. The music policy here is comprised of chill-out tunes in the early evenings before its resident DJ livens things with popular dance and hip-hop music from 22:00 onwards. Due to its upmarket ambiance, it must be said that drinks here are very expensive but happy hour promos from 17:30 to 20:00 offer all cocktails, long drinks, beers, selected wines, and snacks at half price. There’s also a strictly enforced dress code at Chill Sky Bar make sure you dress the part (and leave the flip-flops back in your hotel room). 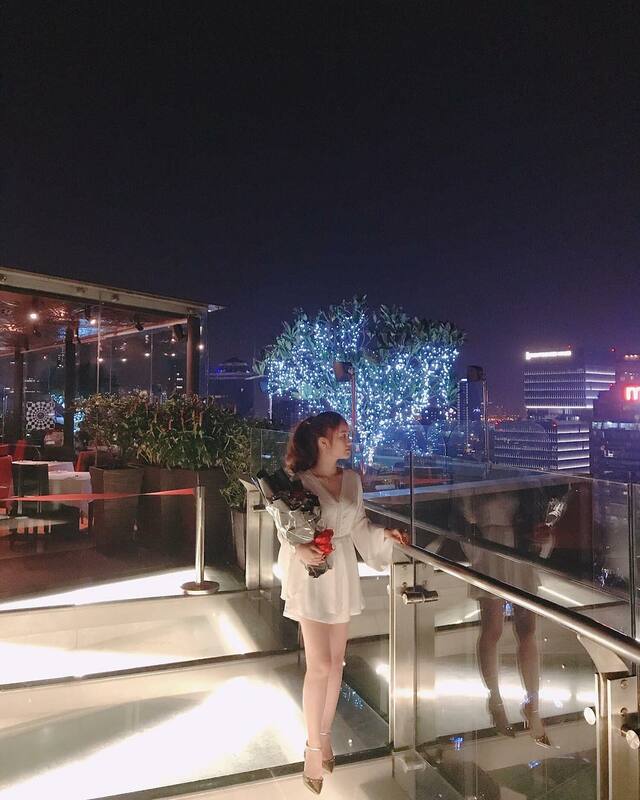 Glow SkyBar Saigon is a trendy rooftop venue that has gained massive popularity amongst expats and trendy locals since its establishment in 2015. Located in District 1, it boasts a beach club atmosphere with plenty of tropical trees, black-and-white furnishing, spacious dance floor, and a fully-stocked bar on the main deck. 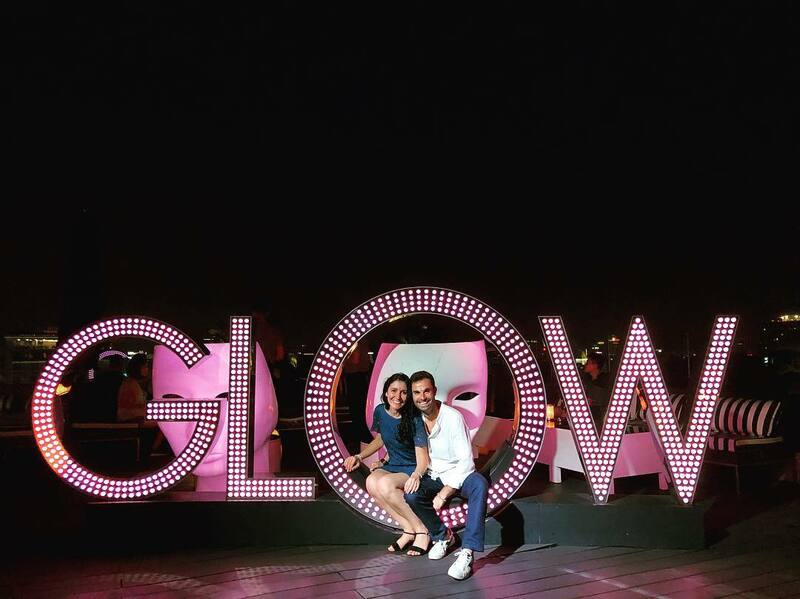 Glow is a modern rooftop bar that is getting mixed reviews. It’s the latest addition to Saigon’s burgeoning rooftop bar scene, with the main complaint being the policy of placing reserved signs on tables that are not taken. If they refuse you a sofa, simply go online and book one. Apart from that, it’s a smart place with wooden decking, large glass screens, glowing objects and an excellent view. Good service staff makes excellent cocktails as you listen to the chill music. The classy Level 23 Wine Bar at Sheraton Saigon Hotel is one of the most luxurious rooftop bars in Ho Chi Minh City, attracting affluent travelers looking to wine and dine in style. Located on the 23rd floor, you can enjoy nice panoramic views of both old and new architectural landmarks, including the People’s Committee, Saigon Opera House, and the modernist Bitexco Tower. The open-air bar also shares a space with a rooftop lounge and fine-dining restaurant, both of which offer extensive drinks lists and premium western fare. 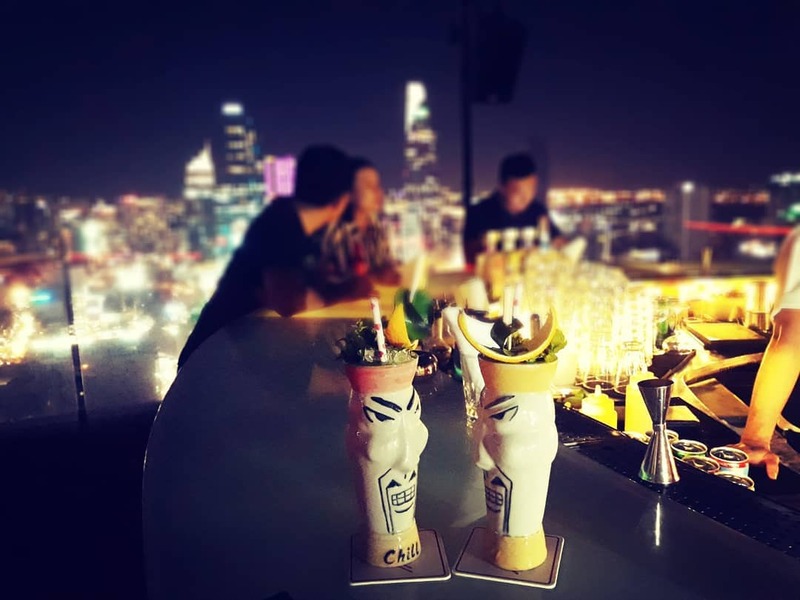 Aside from an extensive collection of international wines at VND 120,000 onwards, the rooftop bar also serves beers, whiskeys, champagnes, and signature cocktails all night long. You can also pair your drinks with some light snacks such as spring rolls, beef satay, nachos, and chicken samosas. 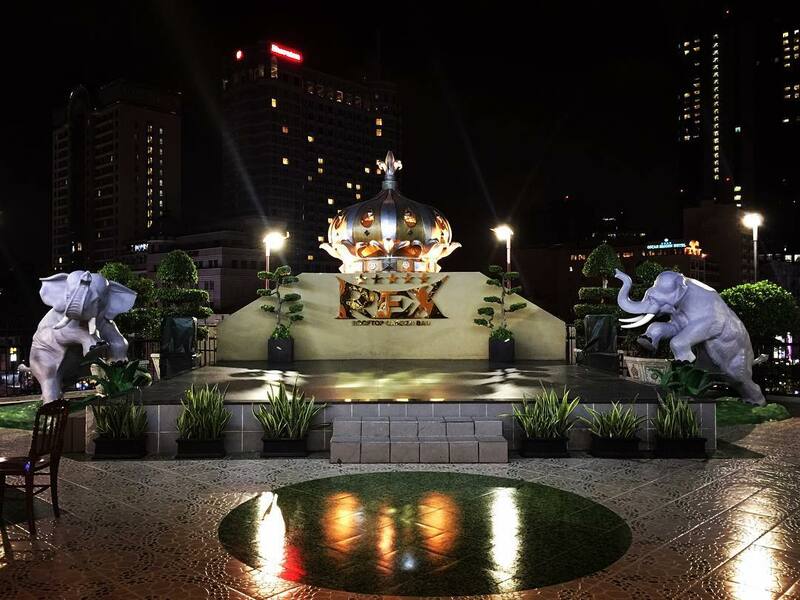 Rex Rooftop Garden at Rex Hotel Saigon is a legendary spot no traveler should miss out on during their holiday visiting Ho Chi Minh. It is one of the lowest rooftop bars in the city at only five stories high, but far from hindering the view, the modest height is actually one of the Rex Hotel Saigon’s redeeming features. It makes up for its modest height with breath-taking views of Vietnam’s French colonial structures such as Saigon Opera House and People’s Committee Hall. Set on the fifth floor, it is also fitted with an elevated stage and dance floor, hosting live Latino bands and salsa performances from 20:00 onwards. The price range here is fairly in line with most rooftop bars in Ho Chi Minh City, but you can enjoy selected alcohols at about 20% off from 17:00 to 19:00. The View Rooftop Bar is located on the ninth floor of Duc Vuong Hotel, one of the tallest buildings on Bui Vien Street. Well-frequented by backpackers worldwide for serving some of the cheapest drinks in Ho Chi Minh City, you can enjoy a glass of beer for as low as VND 20,000. 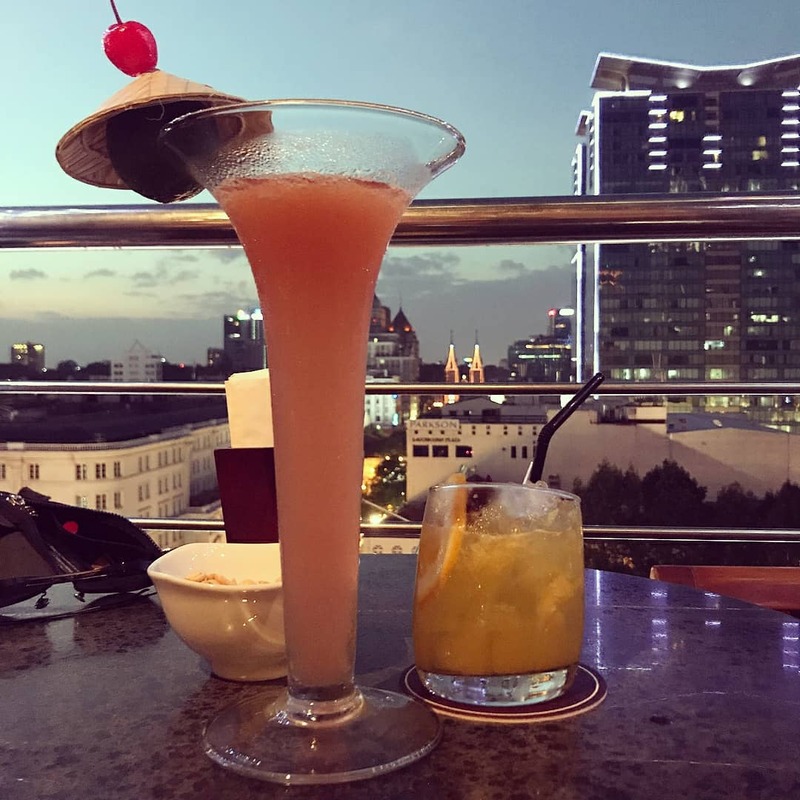 Apart from its tranquil garden setting (complete with colorful neon lights), service at The View Rooftop Bar is also excellent with English speaking staff who more than happy to chat and recommend the best places to go in Ho Chi Minh City. 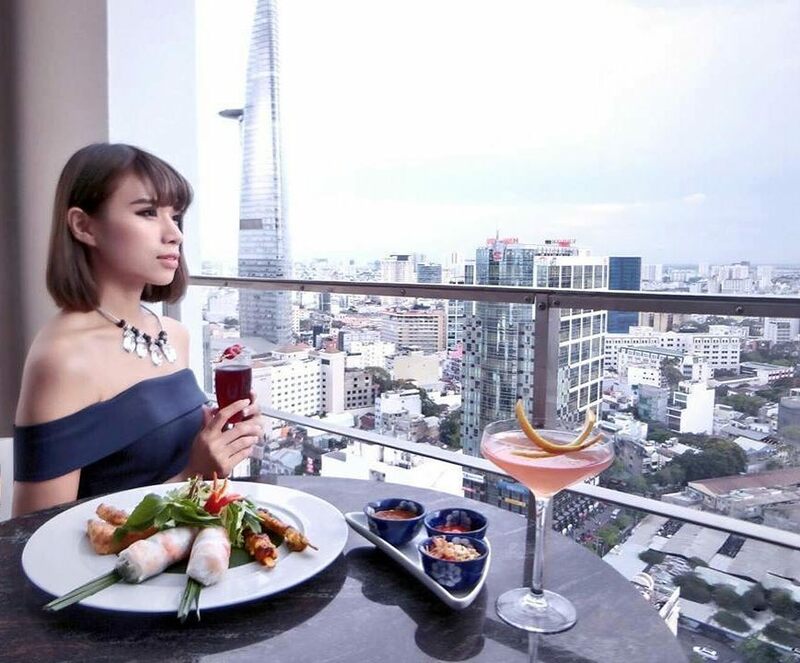 You can also enjoy a selection of western and Vietnamese delicacies, but it’s the cheap cocktails that attract a loyal following for The View Rooftop Bar. Breeze Sky Bar at Hotel Majestic Saigon is one of the oldest bars in Ho Chi Minh City. Set on the fifth floor, it overlooks the tranquil Saigon River and has been serving the Vietnamese upper class and Western tourists since its establishment in 1925. Fitted with wooden furnishing, an Art Deco bar section, and beautiful French-designed interior, this rooftop bar exudes a feeling of times gone by. It features a spectacular view of the Saigon River, Saigon Opera House, and several colonial-era buildings within the city center. This all-day al fresco venue is also an iconic landmark in Ho Chi Minh City, as the hotel was where English author Graham Greene had penned his war novel, The Quiet American. 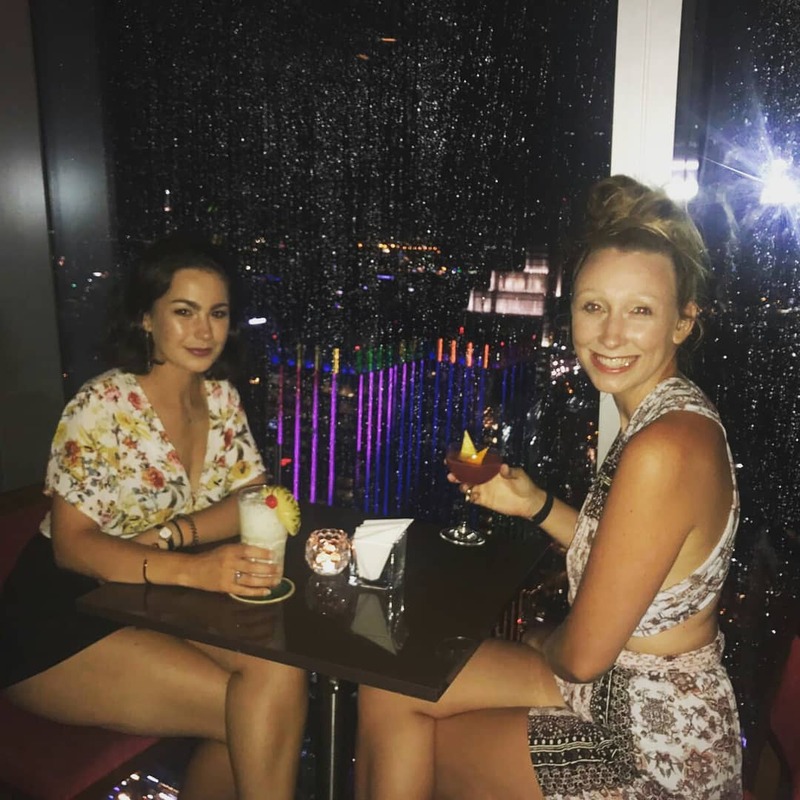 Featuring French architecture, classy décor, and a tranquil setting, Breeze Sky Bar is a great nightlife spot for watching the sunset over the city with a cold beer in hand. Shri Restaurant & Lounge at Centec Tower overlooks some of Ho Chi Minh’s top attractions, including Reunification Palace, Notre Dame Cathedral, Kumho Plaza, and Lotus Building, as well as the Phu My Suspension Bridge over Saigon River. Open all day, you can savor modern European and Vietnamese fare at the indoor dining area before enjoying the rest of the night at the rooftop bar and lounge. It’s fitted with modern decor, ample sofas, and a sleek-looking bar serving cocktails, beers, spirits, and wines from France, Italy, Spain, Germany, Australia, New Zealand, and South Africa. Broma Not A Bar Saigon occupies the fourth floor of old French colonial building in Ho Chi Minh City’s District 1. 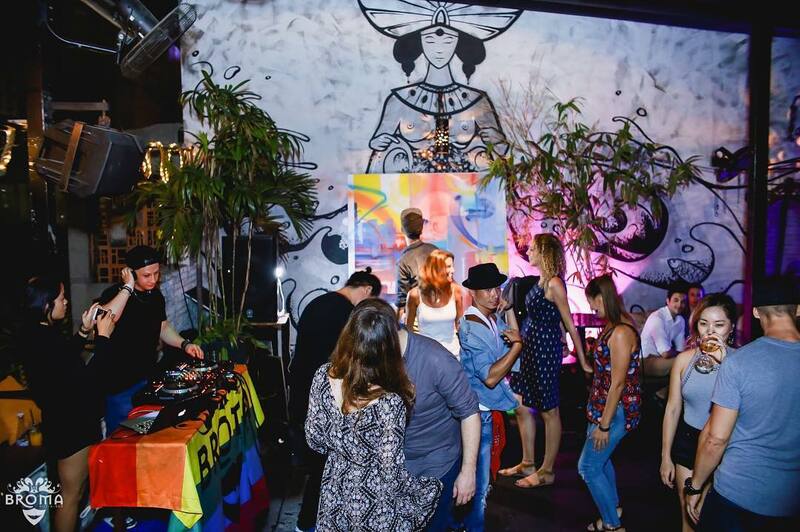 Accessible via a rickety stairway, this grungy-style bar regularly hosts live music performances and themed dance parties with resident DJs playing minimal, deep house and techno music until 02:00. Drinks-wise, Broma serves signature cocktails, sangrias, wines, and more than 30 types of beer from Belgium, Germany, Spain, and Mexico. Meanwhile, bar snacks here comprise of Asian and western favorites such as wood-fired oven pizzas, spring rolls, and chips.